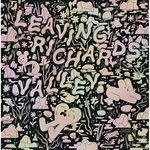 Best known to Copacetic customers as 1/3 of the comics/art/animation/music/performance group Paper Rad, Ben Jones has been using that part of his day not spent devoted to his animation work establishinghimself in the international fine arts community with exhibits at museums and galleries around the world, including The Museum of Contemporary Art in Los Angeles, The Modern Art Museum of Fort Worth and the Loyal Gallery, Malmö – at which three institutions much of the work to be found here was shown. 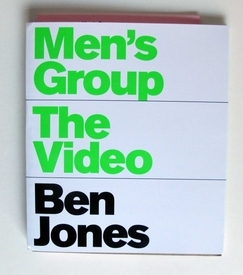 Men's Group: The Video is a unique book, edited by Dan Nadel, designed by Norman Hathaway and published by PictureBox (of course). Bound together in a slick cardstock ringbinder that evokes a vague space somewhere between high school locker and corporate business meeting are eight distinct sections, each defined by a specific combination of page dimensions and paper stock: a collection of InstaGram™ photos taken by visitors to Jones's installation for the exhibit TransmissionLA at MOCA LA; a collections of writings on Jones, his work and the concept of manhood by Joe Bradley, Byron Coley, Phil Grauer, Dacid Kramer, Keith McColluch, Gary Panter, Nicole Rudick and Peter Saul and an interview/conversation between Dan Nadel and Ben Jones; and a series of separate selections of paintings, video paintings, drawings, comics, manufactured products and "Black Math". We have a (very) few signed copies that come with a BJ/PB tote bag that will enable you to leave Whole Foods in style. First come first served.